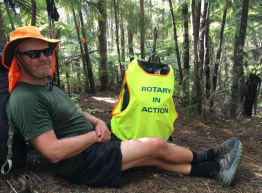 The Rotary Club of Whakatane is raising funds and awareness for Leukaemia & Blood Cancer New Zealand (LBC) through the action of Rotary member, Owen Vaughan, who is walking the Te Araroa Trail, a 3,000km pathway from Cape Reinga to Bluff. Every day many New Zealanders are diagnosed with some form of cancer. Most of us know someone who has experienced this disease, often with heartbreaking consequences. LBC is the national charity dedicated to supporting patients and their families who have been diagnosed with one of the many forms of Leukaemia. LBC receives no government funding, so please help support this great cause. As he walks through the different Districts of Rotary, he would welcome support along the way and is happy to talk at any meetings that you may have that coincide with his presence in your area. An invitation to a Rotary meeting, keeping him company on a section of the trail, and of course donating to the cause is welcomed. Owen is now passing through District 9920 and within the next week will be into District 9930. 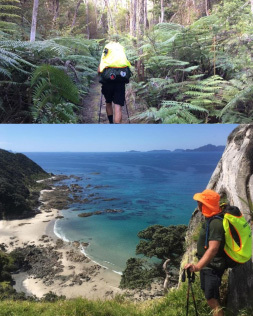 Owen can be followed by viewing his Facebook page Te-Araroa-TrailSame-Shirt-Different-Day. If you are keen to track him and see when he will be in your area, then become a friend on his page. The link to his page follows. His progress can be tracked on the website that has generously been provided at no cost by MAProgress. 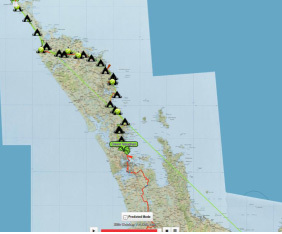 The link below shows his current location and the campsites where he has spent the night.